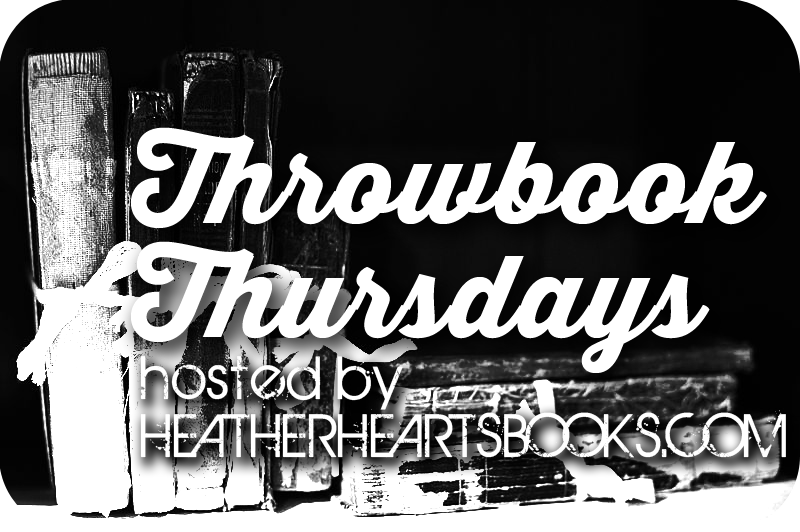 Throwbook Thursdays are a meme started by Heather Hearts Books as way to recognize, review, and promote books that are older or that we read awhile back, possibly before we started blogging, but that we still love. This week, for the first time ever, I'm starting a meme called Throwbook Thursdays, a chance to review older books we love or books we read long ago. If you want to participate, grab the image above to save, and check out the info page. 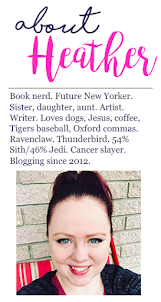 There will be a Link Up on my person Throwbook Thursday post each week! There's a special kind of magic that happens when a reader discovers on their own a book, or a series of books, that they love. I imagine that some of the first kids, teens, and adults, to discover Harry Potter and the Sorcerer's Stone well before it began earning all the buzz and became a household name, feel a special bond to that series. I would assume that readers that discovered and loved the Twilight books without knowing that they were so popular, only to discover they were, would hold a special place in their heart for the series. I remember the afternoon that I received my Nook clearly. It was just a couple days before I was scheduled to have my eighth orthopedic surgery. My Nook was part birthday present (I'd turned 25 just a few days before) and part something for me to enjoy as I recovered. I was also given a gift card to fill up my Nook with new books and I was looking to stretch that money as far as possible. I wasn't firmly entrenched into the YA genre yet. I was a card carrying Harry Potter, Percy Jackson, and Twilight fan. But beyond that, I really hadn't ventured into the genre on my own yet. And I only got to the aforementioned series because I'd heard about them through other people. The Mortal Instruments series sat on my shelf unread. But I really wasn't addicted to YA then like I am now. I just loved some things about the genre. But because I wanted to stretch my money, I decided I'd look into some of the YA titles that were under $5. That night, Julie Kagawa's Iron King was on sale, as were the next three books in the series. They all had gorgeous and enchanting covers. I remembered seeing their print copy counterparts in Barnes and Noble and even at Walmart. I was able to get all four books for under $30, which was a good deal to me. I bought the first one somewhat hesitantly, but within the first fifty pages, I paused so I could go and buy the other three books before the sale ended, because I was absolutely in love. When I first read the description, I wasn't sure how I would feel about reading a book about fairies. After all, I'd been reading books about wizards, vampires, werewolves, and demigods. How exciting could fairies be? I was so thankful that Julie's writing showed me just how fascinating, enchanting, and dangerously charming the fey could be. I loved how she wove elements and characters from Shakespeare's A Midsummer Night's Dream into a modern day tale of fairies and juxtaposed with the ultra-modern threat of the iron fey, from whom the series takes its name. The creation of the characters was just so clever. From the protagonist Meghan, to the hilarious Robin Goodfellow known as Puck (borrowed from Shakespeare), to the darkly dreamy Ash, and the most sarcastic and clever cat embodied by Grimalkin, every character is so dynamic. Beyond that, the world-building was just so wonderful. I fell in love with Faery here, with the mystery, with the magic, and of course, with Ash, who has to this day, remains my ultimate book boyfriend. I am not at all a romantic person, but the sort of chivalry that exists in these books makes me wish that Faery and all the characters in it -- even Queen Mab -- were real. I went on to read the rest of the series (Iron Daughter, Iron Queen, and Iron Knight followed it) and now read the companion series, Iron Fey: Call of the Forgotten (The Lost Prince and Iron Traitor are out now with a conclusion to the trilogy coming this fall) and loved each book more than I loved the last. The Iron Fey series wasn't referred to me by anyone. I hadn't seen it on Goodreads or heard about it on the news because it was generating such publicity. I found it on my own. And it's consistently the series that I recommend most to people who are new the YA genre. And while I've discovered I love EVERYTHING that Julie Kagawa writes (check out The Blood of Eden series if you haven't already -- dystopia + vampires = AWESOMESAUCE), Iron Fey has a very special spot in my heart as my first love.